While most people associate IBS with diarrhea, IBS with constipation (IBS-C) is also a reality for millions of people around the world. The article looks at what causes IBS constipation as well as some possible remedies. Most people are familiar with what it’s like to have difficulty producing a bowel movement. The occasional bout of constipation is nothing to panic about, but if you’re having fewer than three bowel movements every week and it goes on for an extended period of time, it might be chronic constipation. When stomach pain is experienced along with chronic constipation, you could be diagnosed with IBS constipation (IBS-C). When someone experiences constipation, it is due to slow or weak contractions in the abdomen. This causes more water to be reabsorbed from waste material in the large intestine, leaving stools that are really small like pellets or very large or very hard. 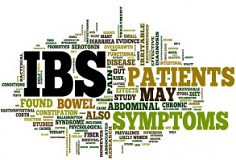 IBS-C causes are generally unknown, but we can tell you that people who have bowel contractions that are too fast can get IBS diarrhea, while those who experience contractions that are weak or too slow can end up with IBS constipation. A theory that the nerves in the intestines may be extra sensitive, leading to pain and discomfort in the gut. A belief that the colon may be absorbing too much fluid from the stool or the muscles in the colon are moving too slowly, which can cause the stools to become too dry and hard to pass. There could be a miscommunication between the brain and the bowel that leads to a change in bowel movements. A theory that strains of gut bacteria in IBS sufferers are different from those who don’t have IBS. The thought is that IBS is the result of bad strains outnumbering good gut bacteria. There is a diet plan for IBS sufferers with constipation. Research, including anecdotal evidence, shows that there are certain foods you can eat with IBS constipation that will help ease symptoms. It helps a lot of people with symptoms of IBS-C since it makes it easier to pass stools. Nutritionists generally recommend about 25 grams of fiber each day for women and 38 grams for men. If you are over the age of 50, you might need a little less fiber. Whole grain bread and cereals, fruits, vegetables, as well as beans contain fiber. You can replace snacks like chips and crackers with cheese, fruit, or a salad to increase fiber intake. If you eat the right foods, you should get ample fiber, but you can also take fiber supplements. It is also important to remember to add fiber to the diet slowly, since quickly adding it can actually make constipation worse. As you gradually increase fiber into your IBS-C diet, you should also increase intake of water to keep stools soft.Research suggests that fiber is effective in mild to moderate IBS-C cases. Another part of an IBS-C diet is fruity foods that are high in sugar sorbitol, such as prunes and prune juice, which can help loosen bowels. Like fiber, you have to be careful not to consume too much all at once because it could cause bloating and cramping. In some people, prunes have the opposite impact and the condition goes from constipation to diarrhea. A high protein and low-carb diet can actually lead to constipation. You do need protein, but also carbs from fruits and vegetables to help keep your digestive tract working properly. Since our stools are mostly made up of bacteria, it is important to support good bacteria to make good stools. If you eat fermented foods on a regular basis, like our ancestors did, you can get more good bacteria in your gut. You can also increase good bacteria by taking probiotics. Just as there are foods to include in an IBS-C diet, there are foods to avoid with IBS constipation. For years, people have complained about symptoms flaring up after they consume certain foods. While everyone is different in terms of their IBS and food tolerance, there are some common foods to stay away from with IBS constipation. Some people are fortunate that a change in diet is all it takes to end constipation, but for others, it is a combination of diet and other treatment. In terms of diet, the IBS constipation foods to avoid are outlined below. This will help figure out what foods are triggering your symptoms. If you see a pattern, eliminate the food from your diet. Cut foods one at a time because cutting several won’t help you pinpoint which is causing you problems. Eating smaller meals more often can reduce symptoms. Don’t skip breakfast, since it activates the colon more than any other meal, and dine at a leisurely pace. Eating on the run or at your desk when you are rushed can trigger symptoms. Natural treatment for IBS constipation is also possible. Studies show that reducing stress can help improve symptoms. There are many different ways you can decrease stress in your life, such as participating in regular exercise, doing yoga, or meditation. You can ease stress by engaging in simple activities like taking a walk, getting a massage, listening to your favorite music, taking a bath, or even reading a good book. Some people who suffer from IBS find that behavioral therapy helps. This is an approach that teaches you how to change the way you react to certain events. It can involve cognitive therapy, hypnosis, biofeedback, and relaxation therapy. There are also cases where alternative therapies like acupuncture and herbs help relieve symptoms of IBS-C. If you want to try alternative therapies, it is always a good idea to discuss them with your doctor first. We have looked at what to eat and what not to eat with IBS constipation, as well as natural remedies, but what about other ways to relieve uncomfortable signs and symptoms? Here are a few options, but keep in mind that what works for one person may not work for another person. Often times, it is a matter of trying a few different treatments until you find one that suits you. 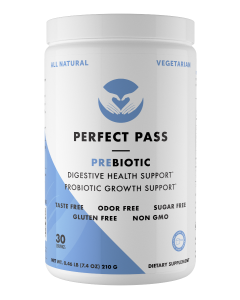 The best prebiotic is partially hydrolyzed guar gum (PHGG). 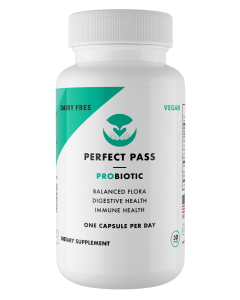 This supplement is basically like eating guar beans and getting a ton of soluble fiber that your good bacteria love. The process of hydrolyzation makes PHGG slightly more expensive, but far easier for your good bacteria to feed on. That’s because PHGG is broken down with natural enzymes into the ideal molecular size–perfect food for your beneficial microbes. As a result, PHGG prebiotics are far more effective than inulin or FOS. When you take PHGG, this soluble fiber selectively feeds the diverse populations of your beneficial bacteria, which alters the ratio of good to bad microbes in your favor. When you take Bacillus spore Probiotics, you can feel the difference in your symptoms, with just 1 per day. These spores are the same species that naturally live in our gut and they have already adapted to the human GI tract, and that’s why they are called ‘Human Strain’. AOK is a non addictive stool softener. 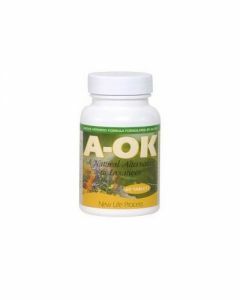 AOK is a safe and effective natural alternative to laxatives. It is also effective for those going through a detoxification process, any cleansing program, for those on a special diet or simply constipated. With proper management, many people are able to manage IBS-C and live happy, active lives.